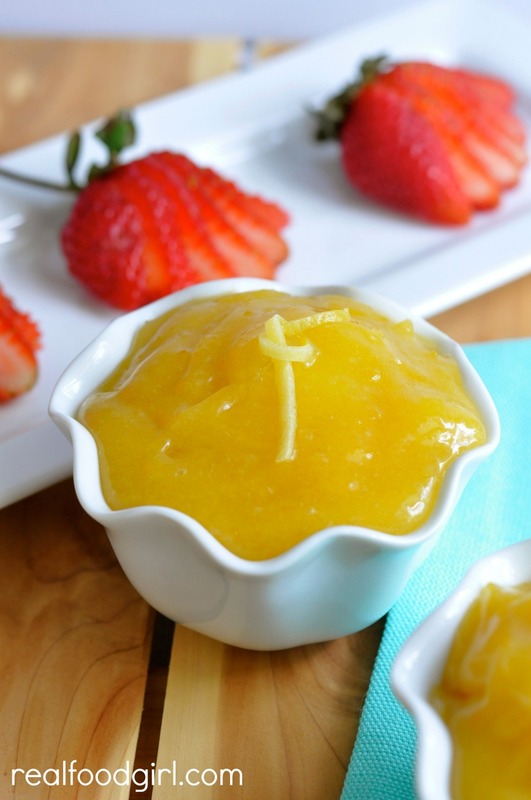 Ridiculously Easy Lemon Curd is just that, ridiculously easy to make. 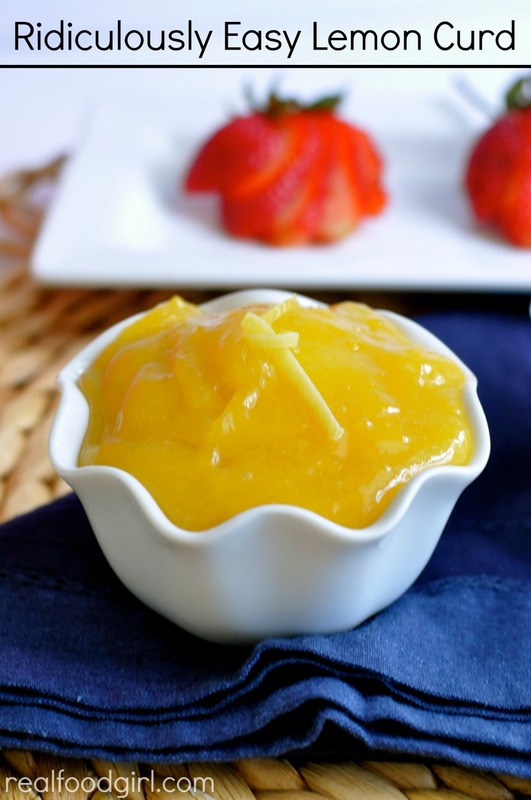 If you can measure ingredients and stand over a sauce pan and stir, you can make this lemon curd. Cross my heart people. Easy, tart, zesty, bright, fresh, lemon curdy goodness can be yours and you don’t need to be a professional baker to make it. 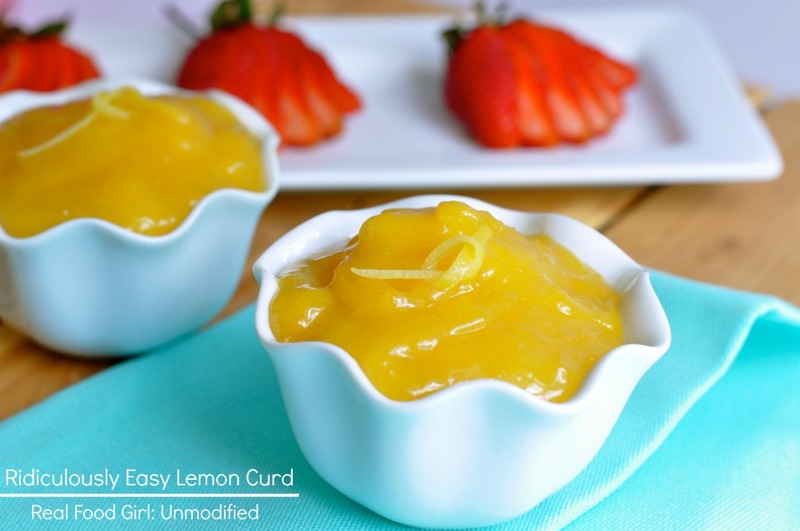 This lemon curd is the same recipe that I use as the filling in my Lemon Gem cookies, but I wanted to feature it on its own because I’ll be sharing my Lemon Mousse recipe soon, and you’ll need to have some of this lemon curd on hand to make the mousse. 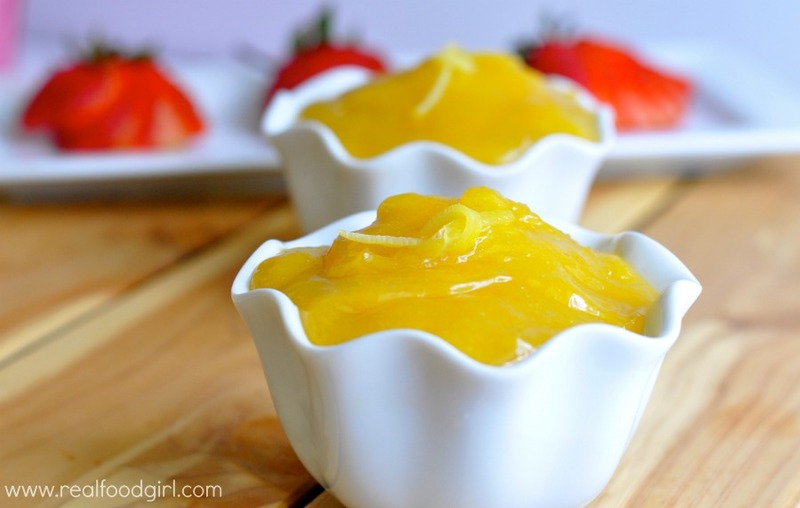 Lemon curd is THE BOMB! If you’ve never made it, you have to try this recipe. I love it on ice cream, I love it on English Muffins, I love it with sugar cookies, I love it on a spoon, on a fork, in a bowl. 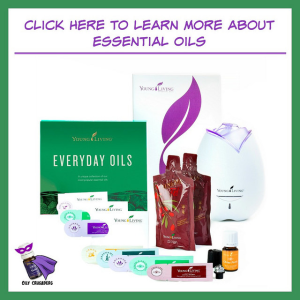 I love it mixed in with plain or vanilla yogurt. Lemon curd and yogurt are a brilliant combination. Brilliant! If you’ve followed me for any length of time, you know how much I love lemons. Each year when summer rolls around I try to find new lemon recipes to add to my dessert repertoire. If I can’t find something new in the land of lemon, I try finding new key lime recipes. I LOVE key limes. Heck, I just love citrus. LURVE it. Makes my mouth water just thinking about it. The lemon mousse recipe that is coming soon is one of my newest creations that stemmed from an ‘Ah-Ha!’ moment that I had while licking the spoon when I was making this. I was like, I could go for some mousse, but I don’t want chocolate. It’s too hot for chocolate. And then a huge lightbulb went off! I love culinary light bulbs. I think I may just have to break out my Pâte Sucrée (fancy French tart shell crust) recipe and make a lemon tart with this. My granddaughter the delightful Miss B, loves lemon desserts. Yeah, I think I’ll do that. What is your favorite lemon treat? In a small saucepan, combine the sugar, egg, lemon zest, lemon juice and the butter. Cook over medium heat stirring constantly for about 10-12 minutes, or until mixture begins to thicken. You want the curd to be fairly thick, but note that it will continue to thicken and set a bit as it cools. Curd will keep for up to a week in an airtight container in the fridge. I store mine in glass mason jars. Hello, I just attempted to make your lemon curd and it was a disaster. I don’t know what went wrong. I’m a failure. Kissing cooking college goodbye. It reeked of anything but lemon and don’t get me started on the lumps. Thought this was for beginners but apparently I’m not even a beginner 🙁 Thanks for trying, God bless you. Sounds divine and easy! How long will this keep for? About 1 week in the fridge. It may last longer, but I’ve never not eaten it sooner. 🙂 I store it in a glass mason jar.